more leads, clients and sales. There are many ways to do this that include both online and offline tactics. But the very first thing that you must do is to increase your visibility. sit quietly off in a corner somewhere (although many of us would probably prefer this) and expect to advance. first place to start is to have your own website. also gives you an opportunity to educate your potential customers or clients about your products and services. Ultimately, it should engage your potential clients and lead them to a sale. 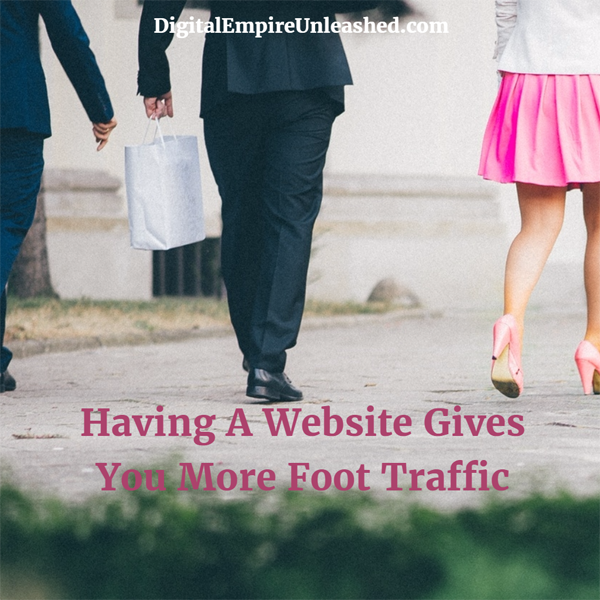 WordPress and SquareSpace are good platforms to take a look at. home page is the main page your visitors will frequent and this is a great page to have them sign up on. connect, engage and follow up with them on an ongoing basis. This is why you need a website. It’s 2017. How Can You Not Have a Website Yet?